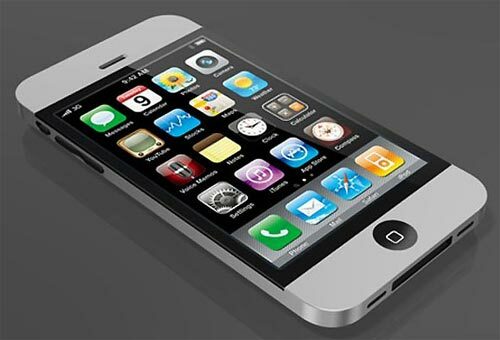 Apple’s iPhone is one of the more popular smartphones in circulation today, and in the UK is one of the three most popular mobile phones used. iPhones not only take great pictures and movies, they also store our contacts, email, internet sites, documents, maps, chats, diaries and other essential data that we use on a daily basis and can’t do without. Data is easily lost on an iPhone – for example files and photos can be accidentally deleted and contacts can be erased if we are not being careful what buttons we press, or if we are learning how to use a new App. Additionally data can be deleted if we run a factory reset or upgrade the iPhone software. It’s also easy to damage an iPhone – dropping one onto a hard surface or into water will often break the phone making it inoperable. An iPhone that won’t switch on is a big problem for many mobile phone repair companies who first have to repair the iPhone before they attempt to recover the data that is on it. 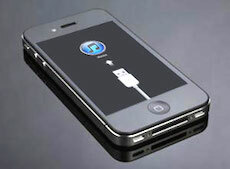 Whilst Data Clinic are fully able to repair iPhones, we are also able to use other means to extract the data from them. Recovering the data from broken iPhones is one of our specialities and something Data Clinic have been involved in since the iPhone was launched back in 2007. This problem may be related to the iPhone charging port located at the very bottom of the phone. This area of electronics is tasked with the power throughput to allow the battery to charge and the connection interface, if these features are no longer correctly working then the changing port maybe be damaged or faulty. A common occurrence that has many different causes. Unfortunately it’s not possible to determine which cause without specialist equipment and physical examination of the iPhone. This problem can sometimes be solved with a simple reboot of the device or if it is something more serious may need specialist equipment or replacement parts in order to gain normal operational access once again. Our technicians have solved many cases of “My iPhone is stuck on the apple logo” over the last couple of years from the iPhone 4, iPhone 5, iPhone 6, iPhone 7, iPhone 8, right up to the iPhone XS. If you have this issue, we encourage consulting an expert in iPhone data recovery and to avoid performing too many internet DIY fixes, which can result in data destruction. Call us on the number above or fill in the form to your right. Another common enquiry here at Data Clinic, this problem can have many root causes including something as simple as the on/off button is not working correctly, a hardware failure such as the iPhone screen being physical damaged, the battery being dead and unable to take charge, or a more serious hardware failure. Many of the internet related DIY fixes such as ‘Leave your iPhone charging overnight’ will not work and from our experience the root cause is usually based in the internals of the device. The red screen of death as it is commonly known is one of the more serious iPhone failures and in most cases indicates the iPhone has suffered a hardware fault. Our technicians usually encounter this issue with water damaged phones and have in many cases been able to gain access to the phones to extract the data stored. If your iPhone has been submerged in liquid we recommend refraining from powering the phone and seeking expert advice immediately. If you attempt to power this on, you can be causing damage which can lead to shorts in the circuitry. Our technicians recommend you do not power a water damaged iPhone using the original submerged battery as this can also lead to serious electrical surges within the phone. Our technicians have all the skills and equipment required to deal with a water damaged iPhone and will take initial measures to decontaminate the phone using our specialist ultrasonic cleaning equipment. If your iPhone is suffering from this fault you may have a fault screen or one of the internal connections is not correctly in place or damaged. We have encountered many customers with such a problem which usually occurred during a knock or fall, whilst this may not be the most serious of issues it may render the touch functionality of the screen inoperable meaning you will not be able to unlock the phone to gain access or to connect it fully to iTunes to perform a backup or recovery. We have parts for almost all of the iPhones out there, including specialist digitizers and internal proximity sensors. The fastest way to repair this failure is to perform a factory reset, but if you have not performed any backups of the data recently then this will not be an option as you will lose your data. There are many low priced software packages on the internet claiming to solve this issue, but many do not. We can correctly diagnose the cause and deal with it accordingly whilst also preserving your data. If your iOS update was interrupted by a power failure, had insufficient storage or if the device encountered boot issues/error codes, your recovery options maybe limited. However, our technicians have had many successful recoveries from such cases in the past and reunited customer’s with valuable family photos, video’s and application data from their iPhone 4/4s/5/5s/6/6s/7/8/X. We use advanced techniques of data extraction to recover the data from iPhones. We use a variety of techniques to recover the data from your iPhone – and the problem your phone has dictates what technique we will use to recover it’s data. Sometimes there may not be any physical damage to the phone and the fault may be due to a corruption with iPhone’s memory or file storage, other times the phone may be physically broken and require us to remove the memory and file storage chips and read the data from them before reconstructing it back to how it was before the iPhone broke. In almost all instances, Data Clinic are able to successfully repair and recover the data from iPhones whatever the problem. Contact us on 0871 977 2525 or use the form to your right to get in touch and we’ll contact you. Additionally, our forensic services are available to recover data from iPhones that has often been deliberately deleted – such as text messages to certain numbers, internet histories or GPS location data etc. Capable of storing huge volumes of data, an iPhone is often a goldmine of information frequently containing photos, videos, emails, internet history, chat logs and location data specific to the phone’s owner. iPhone data is often so complete that it is possible for us to construct a timeline of detailed activity and location data, complete with time and date logs that show the users whereabouts and activities at any certain time. Each requirement is different and we recommend you contact us on 0871 977 2525 or use the contact form on the right for further details. Additionally you may like to also read our main forensics page too.